Did you want Dark Mode on WhatsApp? There you go! Fans of night mode have something to celebrate! 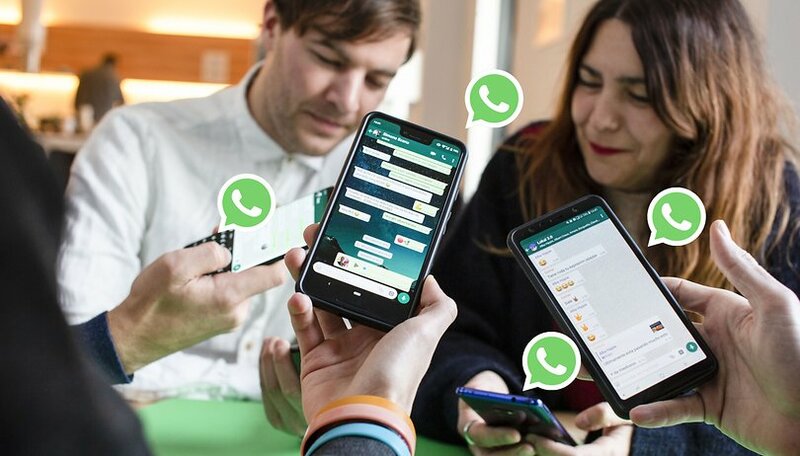 Although Dark Mode isn't officially available yet in WhatsApp's latest beta, WABetaInfo had the chance to try it out for the first time and decided to show us how it works on the world's most popular messaging app. One thing that immediately catches your eye is the fact that WhatsApp hasn't chosen an absolute black, but, as you can see from the attached screenshots, it uses a very dark grey, a shade that actually makes reading easier and makes your eyes less tired than black. Since the contrast between grey and white is not as sharp as that between black and white, the eyes would tend to adapt more easily. Moreover, according to some studies, using dark grey also offers the advantage of better readability. When an app uses absolute black, text scrolling and rapid motion may appear a little distorted due to the activation and deactivation of OLED display pixels. With dark grey, each pixel remains lit, so the effect during scrolling is not perceptible. Unfortunately, at the moment WhatsApp's Dark Mode has only been implemented in the settings menus, which means that the app may not benefit fully from it. In addition, as we have already said in our introduction, it is not yet possible to activate the new mode, even if you are part of the beta program. Don't worry, we probably won't be waiting long. Are you also looking forward to trying out Dark Mode on Facebook's own messaging app? If it doesn't use black, doesn't that mean no battery life savings on OLED screens?